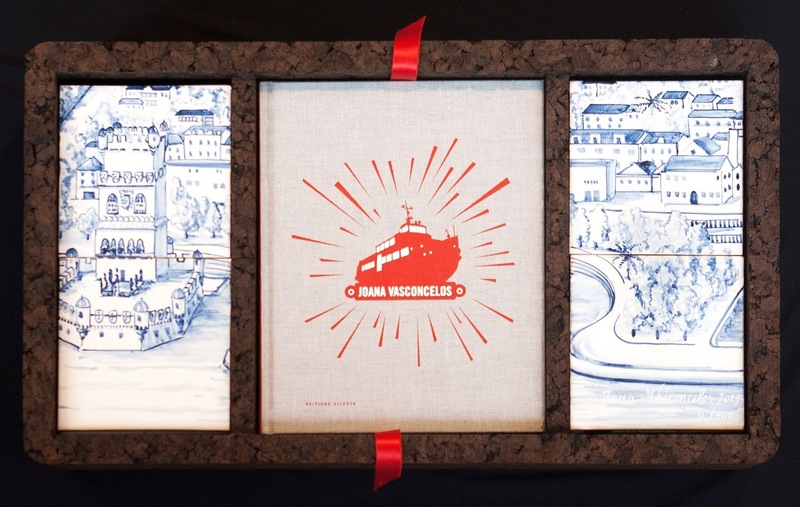 To celebrate Joana Vasconcelos’s project Trafaria Praia, the Portuguese representation for the 55th International Art Exhibition – la Biennale di Venezia, Éditions Dilecta developed a commemorative limited edition boxset, made of natural cork. This work includes a work by Joana Vasconcelos, Great Panorama of Lisbon 21st Century (Tower of Belém), an azulejo panel composed of 12 blue and white, hand-painted tiles, and the book Joana Vasconcelos: Trafaria Praia. This original work was created upon a section of the azulejo panel featured on the exterior of Trafaria Praia, Joana Vasconcelos’s floating Pavilion of Portugal and total work of art. This unique panel of 12 blue and white azulejos (Portuguese tiles, hand-painted at Viúva Lamego, in Lisbon) pictures a contemporary view of the Tower of Belém in Lisbon, seen from the river Tagus, including the Trafaria Praia ferryboat. 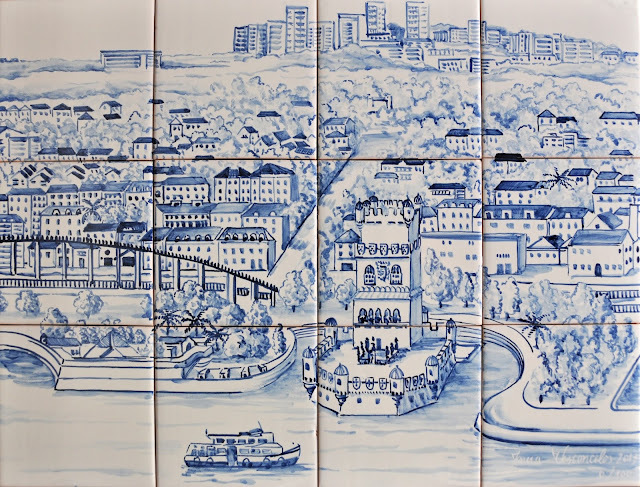 The tiles represent a part of the Belém area and particularly the Belém Tower, one of the most iconic monuments of Lisbon. Joana Vasconcelos has a particular interest in this monument she considers to be ‘the Princess of river Tagus’. The choice of the view is related to the historical importance of the harbour where the ships that discovered the way to the East used to depart from during the Age of Discovery. The episode is mentioned in many important books, particularly in Os Lusíadas [The Lusiads], by Luís de Camões.